I think it would be fair to say that fresh peaches are one of the very best things about summer. Of course, living here in the midwest, fresh peaches aren’t exactly our forte. Thankfully The Peach Truck has solved that problem for us. 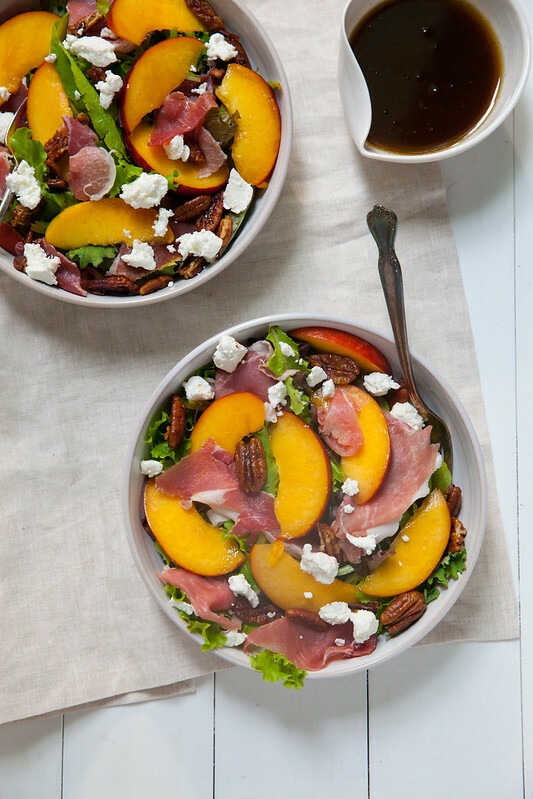 You can easily stock up on summer’s best peaches at one of their many tour stops or order and have them shipped to your door! 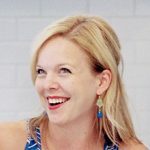 One of my absolute favorite Indy spots, Wildwood Market, is hosting a Peach Truck stop this weekend and I am thrilled! To celebrate, we have partnered up for a fun contest with fabulous prizes for some lucky winners! I’ll be sharing peach recipes three days this week in anticipation of the first stop at Wildwood this weekend. Local readers who want a chance to win a box of peaches as well as a Wildwood gift card, read on below for details on how to participate! If you aren’t local to Indy and aren’t able to take part in this contest, no worries. You still get to enjoy some fabulous peach recipes! Today I’m sharing this awesome salad which is an ideal light, fresh summer lunch or dinner option. 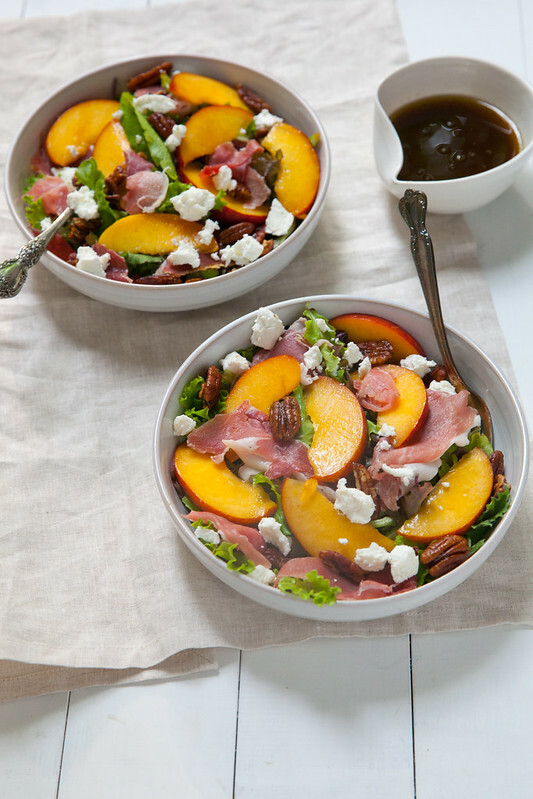 Peaches and proscuitto are a fantastic combination and they certainly shine here. The sweet-salty balance is totally on point. Candied pecans, fresh goat cheese and balsamic vinaigrette round the dish out nicely. (By the way, The Peach Truck sells Georgia pecans as well!) This meal will definitely be on repeat throughout the rest of the summer in our house. Oh, and I highly recommend pairing with a glass of chilled prosecco. In a medium bowl, combine the sliced peaches with 1 tablespoon of the brown sugar and the lemon juice. Toss to coat evenly, then set aside for about 30 minutes to draw the juices out. Meanwhile, melt the butter in a medium skillet over medium heat. Add in the remaining ½ tablespoon of brown sugar and mix, stirring constantly, until the sugar has dissolved into the butter. Add in the pecans and cook, stirring often, just until lightly toasted and fragrant, about 2 minutes. Season with salt and the dash of cayenne. Stir well. Remove from heat and set aside to cool. To make the dressing, combine the oil and vinegar in a liquid measuring cup. Whisk until well blended. Season with salt and pepper. Taste and adjust flavor as necessary. Divide the greens between serving plates. 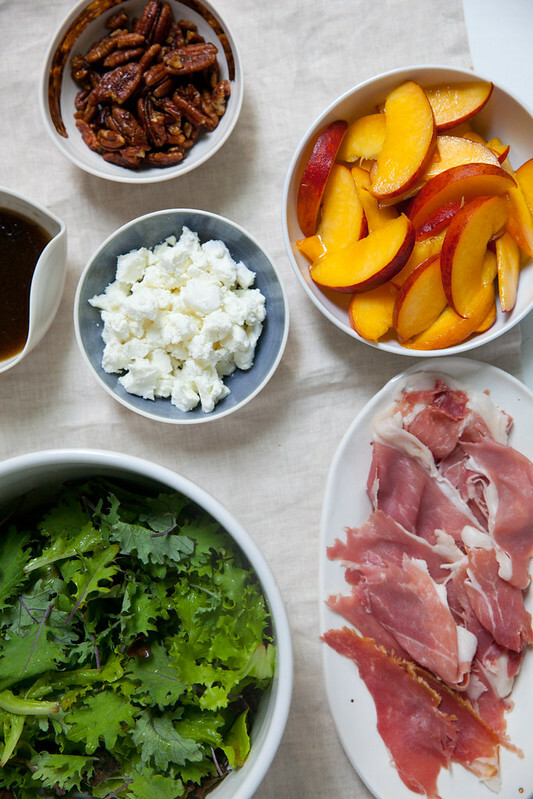 Top each serving with some of the macerated peaches, torn slices of proscuitto, candied pecans and crumbled chèvre. Serve immediately.